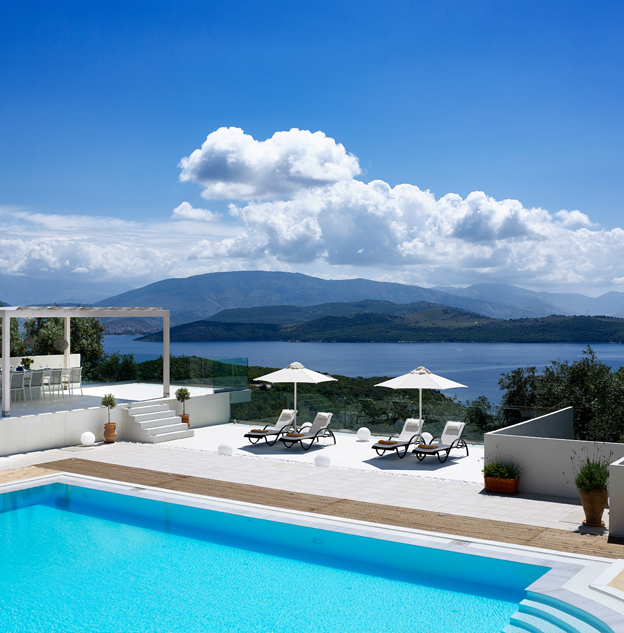 When it comes to luxury, Corfu has become one of the essential holiday destinations to explore. This stunning Greek island has always been a favourite with holidaymakers wanting to explore varied landscapes, but it also offers so much more for those wanting an extra special break. One of the things that instantly hits you as you step off the plane is how fresh and lavish the surroundings are, from thick greenery to stunning cove beaches, all of which frankly make it no wonder that people continue to flock to the island for a secluded retreat. For those seeking a vibrant Greek atmosphere, Corfu Town offers everything that they need to soak up the traditional culture. Why not relax in a cafe enjoying a classic Greek meal, or take in the unforgettable view of the sun setting over the island on an evening? The town itself is recognised by UNESCO as a World Heritage Site and culture lovers will be enthralled by the reminders of the area’s colourful history. Offering the sophistication of a metropolitan city, it really is the ideal place to unwind. As one of the oldest tourist destinations in Greece, the island offers a wealth of accommodation options, with everything from 5* hotels to luxury villa rentals in Corfu. If you decide to opt for a villa, we recommend that you choose accommodation that will afford you the best views of the stunning landscapes. Another fantastic reason to visit Corfu is to experience its temperate climate, meaning that if you are looking for a warm yet bearable atmosphere, this island is the perfect choice. The rain season lasts from late autumn to early spring, but this is still a great time to explore the island’s diverse array of fauna. The countryside bursts into life during this period and continues to offer spectacular colours and fragrances until the end of the summer. Those seeking a more tropical climate will want to visit the island over July and August, these being the most popular months to visit Corfu, serving up hot temperatures and day-long sunshine. But if you are especially interested in exploring the island on foot, we recommend waiting until late September or even October, when the humidity drops and the area becomes ideal hiking territory. What better reason could you have to enquire today about luxury villa rentals in Corfu from our experts right here at Villa Retreats?